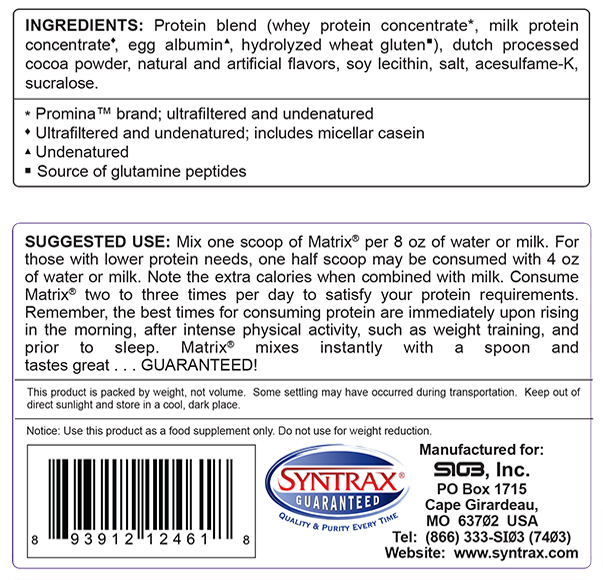 Matrix® is a blend of the highest-quality protein concentrates in the industry. 2. What makes Matrix® a higher-quality product than the competition? Matrix® contains a combination of the following three different high-quality proteins: whey protein, micellar casein and egg albumin (egg white protein). 3. Why a blend of different proteins instead of just one protein? 4. When is the best time to consume Matrix®? Because it contains proteins which are metabolized both quickly and slowly, it is an ideal protein source for any time of the day. Some people will consume a fast-acting protein source like whey protein after a workout and consume a slow-acting protein source like casein before bedtime. 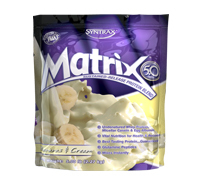 Since Matrix® contains slow (casein), medium (egg) and fast (whey) acting proteins, it is ideal for any situation. It has the ability to bombard lean body mass quickly with amino acids as well as provide the body with these same nutrients over an extended period of time. 5. Is Matrix® a superior protein for those with medical conditions, such as bariatric surgery patients? Yes! 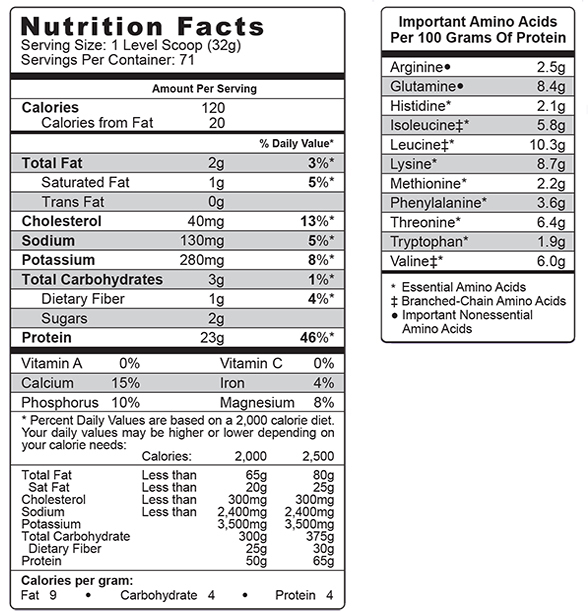 The amino acid profile in Matrix® is the best out of any protein on the market. Furthermore, because it provides the unique benefits of three different protein concentrates, it offers the best opportunity for increasing overall health and well being . . . from optimizing lean body mass and adipose levels, to supporting an ideal antioxidant status, to maintaining proper kidney and immune system function. 6. How can Matrix® 5.0 be so economical if it contains more expensive proteins? Notice that Matrix® 5.0 is packaged in a high-quality laminated bag. There is a considerable savings in packaging with this method which consequently offsets the increased costs of the proteins. Do not worry about freshness! The laminate used for the Matrix® 5.0 bag is an oxygen and moisture barrier structure which works as well or better than the typical plastic jugs. Furthermore, it contains a reclosable zipper for convenience and uses less of our precious non-renewable resources.